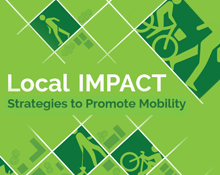 In support of the p2 Collaborative of Western New York’s Local Initiatives for Multi-Sector Public Health ACTion (IMPACT) Program, UBRI conducted a regional assessment to reveal how walking and physical activity are promoted by the plans and policies of communities across Western New York. The study included an extensive review of local comprehensive plans and ordinances and a survey of local planners and decision makers. Findings were grounded in local context by taking a look at indicators of health outcomes and current conditions regarding pedestrian mobility across Western New York. The research sheds light on regional strengths when it comes to promoting walking and physical activity through local planning and policy, as well as current barriers and potential opportunities that could be leveraged to better enable the residents of Western New York to lead more active, healthy lifestyles. The technical report developed from this research provides a foundation for action for local decision makers to help improve public health outcomes in all types of communities. This work was supported by the New York State Department of Health under an initiative funded by the Centers for Disease Control and Prevention.